Daniel Ricciardo has shattered the calm of the F1 midseason break by announcing a surprise switch to Renault on a two-year deal starting 2019. The Australian had been widely expected to stay with Red Bull Racing, the team with which he has won all seven of his career victories, but Ricciardo will throw in his lot with the midfield-leading French team after what he called one of the hardest choices of his career. “Twenty-nine years living on this earth, it was actually one of the toughest life decisions I’ve made,” Ricciardo said. “Sad to move on, absolutely. As recently as the Hungarian Grand Prix at the end of July both Red Bull Racing principal Christian Horner and Ricciardo had suggested a contract extension was due imminently, and the fact that the team hasn’t named a replacement suggests it was blindsided by a late Renault swoop. The move was doubly surprising given the two teams’ relative competitiveness. Renault has qualified almost 1.5 seconds behind Red Bull Racing on average this season, and current drivers Nico Hulkenberg and Carlos Sainz, the latter of whom Ricciardo will displace, are regularly lapped by RBR. But the motivations behind the decision are manifold. For one, Red Bull Racing is thought to have offered the Australian inferior terms to those enjoyed by teammate Max Verstappen in the knowledge that neither Mercedes nor Ferrari had seats available. Questions about team status alongside Verstappen would also have played a role. Though the team insists it fields both drivers with equal opportunity, Horner’s proclamation late last year that Verstappen’s new contract would enable him to “build a team around him” left few with any doubt Red Bull Racing’s heart lay with its teenage prodigy. But the most significant motivator will have been Red Bull Racing’s adoption of the Honda power unit from next season. Though current supplier Renault’s engine is slower and more less reliable than its Ferrari and Mercedes counterparts, the Honda engine is less powerful and less dependable still. Honda’s torrid three-year relationship with McLaren still seared into the sport’s collective consciousness, and though the Japanese marque has made great strides with the Red Bull-backed Toro Rosso team this season, it has experienced 160 per cent of the failures of Red Bull Racing’s Renault engines and remains the slowest motor on the grid. In Renault’s favour is its rebuilding project, now in its third year, is accelerating rapidly and is due to mature with the team contending for race wins in 2020 and a title in 2021. When it returned to the sport in 2016 it scored just eight points and finished ninth in the title standings; at the halfway mark of 2018 it sits fourth with 82 points. Ricciardo’s switch is therefore a gamble that Renault will be no less likely to win races than Red Bull Racing by 2020. If that eventuates, he’s ideally placed to capitalise from his plum manufacturer seat; if not, in 2021 seats at Mercedes, Ferrari, Red Bull Racing and teams elsewhere on the grid will become available again. With Ricciardo’s future resolved, Red Bull Racing must now decide whether Carlos Sainz, still under Red Bull contract while on loan to Renault, or Toro Rosso’s Pierre Gasly will replace the Australian next season. Sainz would ordinarily be the favourite, but his inflammatory relationship with Max Verstappen during their time as teammates at Toro Rosso may count against him. Gasly, on the other hand, will have his experience with the Honda power unit weighed against his inexperience in Formula One. 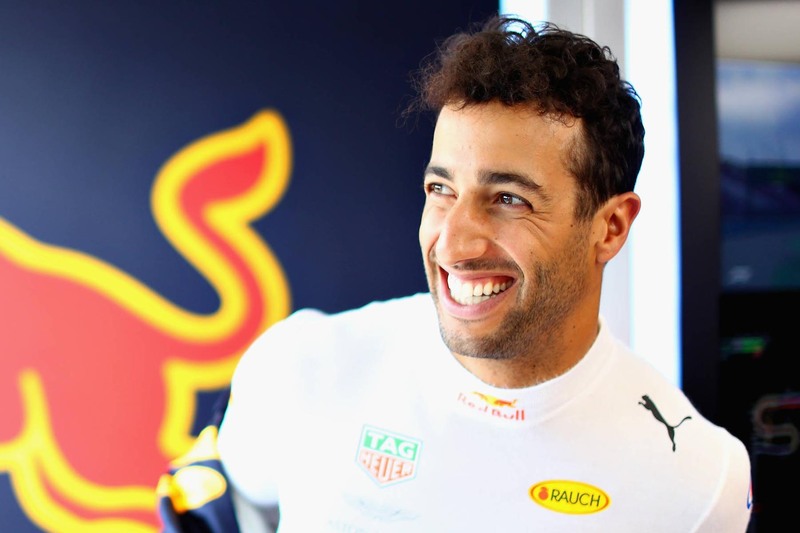 Daniel Ricciardo, contract in hand, can now enjoy the midseason break, but in his wake Red Bull Racing and a bevy of drivers will be in overdrive to allocate the most competitive drive available in Formula One.